Mahindra Xylo has been selling well in the Indian automobile market and this is one of the reasons why Mahindra chose to develop a smaller version of the Xylo, the Xylo Mini to be named as Mahindra Quanto. The car is yet to be launched in the market and as of today it is going through rigorous test routines to prove itself. Surprisingly one of the members of fellow automobile blog Team-BHP has disclosed a confidential PDF file that contains latest technical information about the Quanto aka Mini Xylo. If the document is to be believed, the upcoming Quanto would feature a 1493 CC, 3 cylinder, CRDI diesel engine that has some impressive output figures of 100 BHP and 240 Nm for power and torque respectively. These figures are simply brilliant for a car of this size. 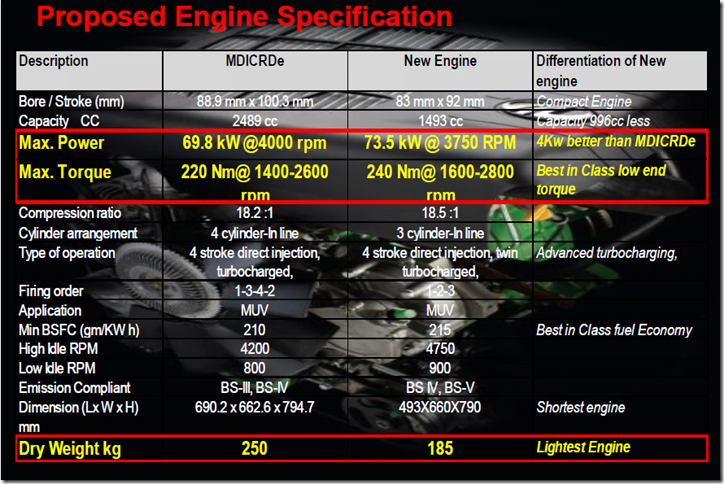 Most importantly the 1.5 litre mHawk engine that we are talking about is not an entirely new engine but a downsized version of the 2.2 litre unit that powers the Mahindra Scorpio, Mahindra Xylo and Mahindra XUV500. 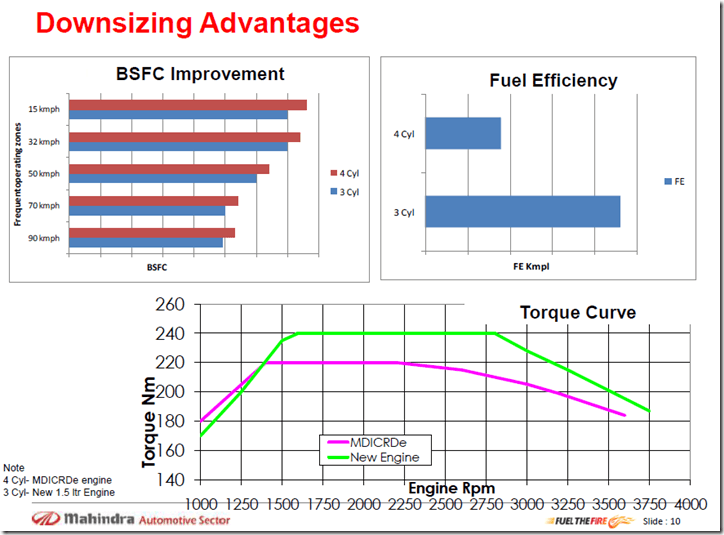 The engine offers has serious output figures especially for torque and Mahindra could be planning to use the same in future vehicle as well. All in all the engine is immensely powerful and offers great fuel economy too. If this engine does make its entry into the Quanto aka Xylo MIni, we are quite sure it will repeat the success of Mahindra XUV500. Beside this very interesting information, it is also being rumored that the Quanto is going to be launched on the 2nd of October, though the news is yet to be confirmed. Another question arising in our mind is whether the company will position the car as a compact SUV or an MPV. The Quanto resembles the Xylo, so looks would not be a concern for buyers, however the pricing is what we are looking forward to. Stay tuned for more updates on the Mini Xylo aka Mahindra Quanto.